The seat is fully sprung with non-sag springs in the base and pocket springs in the cushions ensuring long life and comfort. This classic chesterfield is available in a wide range of colours. 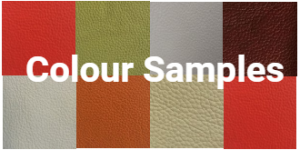 You may also choose from either leather or fabric. The Winchester chesterfield lounge comes in a wide range of configuration options, just contact us if you require a special size or configuration. This beautiful winchester chesterfield leather sofa will add class and style to any room. Impress your clients and guests with one of the most stylish chesterfield leather sofa which is available in a range of configurations. Chesterfield Lounges.com.au biggest sellers and buy far the most popular classic leather lounges are the Winchester 2 and 3 seater options. Chesterfield leather sofas are becoming more popular in todays modern society. Their amazing versatility is evidenced through the fact that they can be ordered in whichever configuration you desire. Another feature of these stylish chesterfield lounges is the ability to be ordered with a range of leather options. The colours themselves begin with the ever popular burgundy leather and range to a more solid coloured leather. Our range of washed off leather lounges are particularly popular with professionals and this type of chesterfield office furniture can be found in many of the country's top law chambers and even parliament houses. Chesterfield office furniture is one of the finest ways to make a impact with your clients or guests. Chesterfield leather lounges are also used in other commercial environments such as hairdressing salons and reception areas, these businesses love the look and feel of a vintage chesterfields without the vintage price-tag. Our classic chesterfield sofas add the ultimate touch of class and style to any environment. When you are investigating your chesterfield leather sofa purchase, ensure you purchase one with a hardwood frame, fully srung seating and 100% leather. This will ensure you will get years of enjoyment out of your investment. Obviously, this is the method we use to manufacture ours.Timeless style is what you are investing in. You want a chesterfield leather sofa that will age gracefully, that wears in with time and over the years develops that feel of soft leather and soft yet supportive spring system seating that will not collapse very soon after you purchase. Your leather chesterfield sofa is an investment in your home. Not just "änother lounge", your leather chesterfield sofa will be something you fall in love with. If you are looking for a different look, maybe you could find what you are looking for with a fabric chesterfield. You can choose from a variety of fabrics. We use Warwick Fabrics regularly, but if you have a specific fabric in mind or would like to supply your own fabric that is fine by us! You can also mix leather and fabric as an additional option. Maybe a two seater chesterfield with a fabric chesterfield? It is no problem for us to manufacture in whichever fabric you prefer. You can also choose from a variety of feet. Our most popular foot is the traditional bun foot which you would see on leather chesterfield sofas. You also have many other options such as casters, or a squarer wedge foot. If you prefer, you can source your own foot and we can afix it to your leather chesterfield sofa before dispatch. We are here to ensure your buying experience is as flexible and satisfactory as we can make it. Please contact us to see if we can help you find your perfect chesterfield leather lounge.